What is a County Court Administration ORder? You have a court judgement entered against you by one of your creditors that you can't pay in full. Under the order, you must make weekly, monthly or quarterly payments from your income to the court, which shares them among your creditors, in proportion to the amounts you owe them. If you don't keep up with the payments, the court may make an attachment of earnings order. This is sent to your employer, directing them to deduct amounts from your wages and pay them to the court for sharing among your creditors. None of the creditors listed on the administration order application can take further action against you without the court’s permission. There is no upfront fee – the court takes 10p of every £1 you repay. You can apply to make payments for a limited time, such as 3 years, using a ‘composition order’. 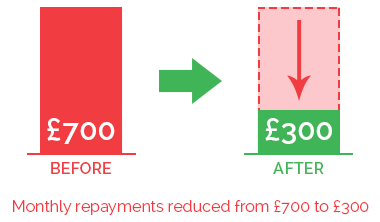 If your circumstances worsen, you can apply to the court to make reduced payments. You may be able to continue running any business you have. Creditors can put objections to the court and ask to be left out of the order. The court need not agree to this. If you don’t keep up your payments, the order can be revoked (withdrawn) and the creditors can pursue you again. If the court makes an attachment of earnings order, your employer will find out about your money troubles.